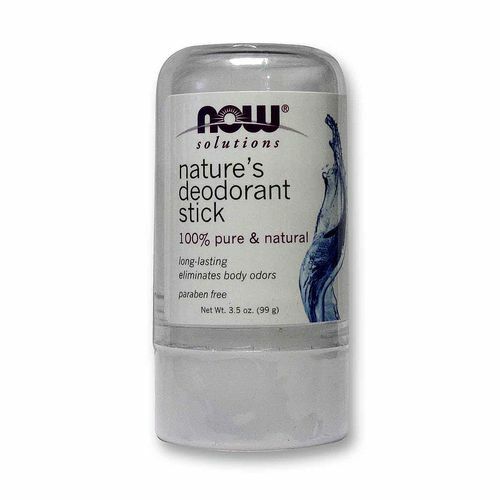 Now Foods Nature's Deodorant Stick doesn't contain any harmful talc or aluminum. Notes: Not tested on animals. Ingredients: Natural Kalinite (aluminum potassium sulfate dodecahydrate) Crystal. 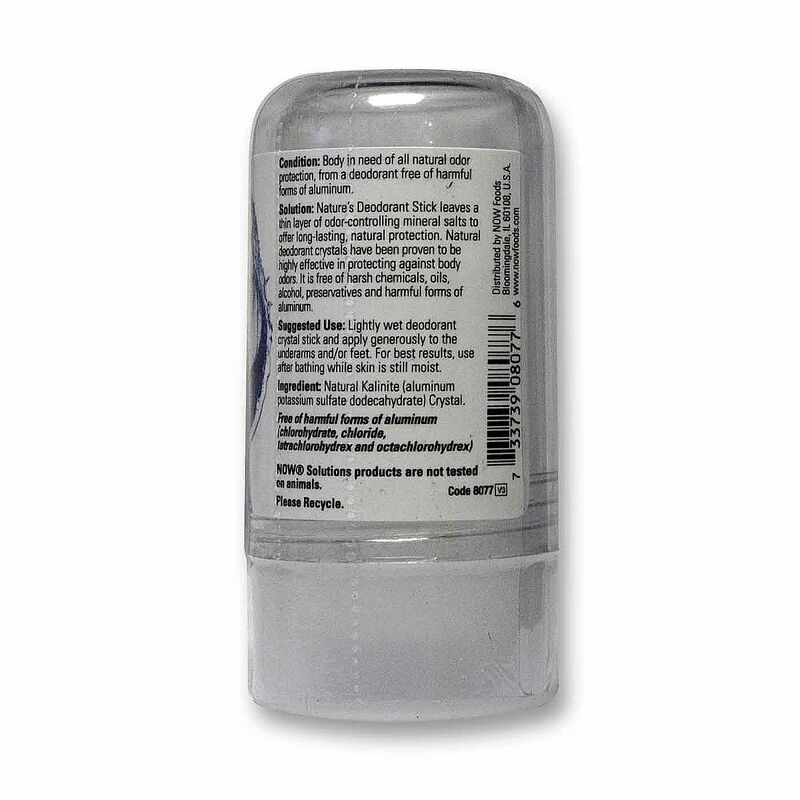 Free of harmful forms of aluminum (chlorohydrate, chloride, tetrachlorohydrex and octachlorohydrex). Recommended Use: Lightly wet deodorant crystal stick and apply generously to the underarms and/or feet. For best results, use after bathing while skin is still moist.